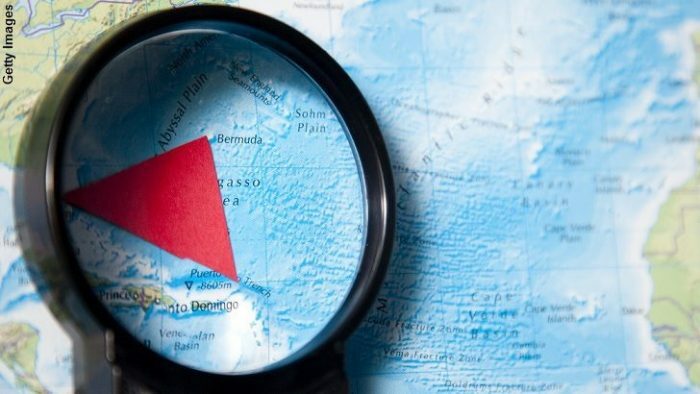 A Texas couple traveling to the Bahamas for their honeymoon may be the latest victims of the infamous Bermuda Triangle. At the start of what was to be a week-long trip, Forrest and Donna Sacco flew from the city of Fort Worth in their private plane and landed on the island of Eleuthera in the Bahamas on September 25th. That refueling stop was the last that anyone has seen of the couple as they departed that airport the next day and headed for the nearby island of Rum Cay, but never arrived at their destination. Unfortunately, their lack of contact with family and friends over the course of the next week did not arouse suspicions since they were ostensibly celebrating their recent nuptials in a proverbial paradise. And so it was only when they did not return home to Fort Worth that their loved ones realized that something was amiss and attempted to track down the couple but could find no indication that they ever made it to Rum Cay. As one can imagine, the location of their disappearance has raised the ominous specter of the Bermuda Triangle as, indeed, the couple did seemingly vanish within the confines of that notorious patch of the planet. Since the circumstances by which planes and ships go missing there remains a mystery by virtue of their very disappearance, it’s impossible to truly say if the couple vanishing is a bonafide Bermuda Triangle event or merely the result of something prosaic such as inclement weather. To that end, the Sacco’s may be inadvertent victims of the recent hurricane season as search and rescue resources in the Bahamas are said to be scarce due to the treacherous storms that swept through the area. The lack of help from authorities in the Bahamas has led their friends and family to enlist private planes to search for the couple in the hopes that they can somehow miraculously be found. Sadly, the Saccos are the second group of Americans to go missing in the Bermuda Triangle this year as a similar incident occurred this past May.